Aldi’s is quickly becoming one of our go to places for gluten free products. With cereals, snacks, and even cake mixes (review coming soon!!! ), we definitely appreciate the savings we get when shopping there. 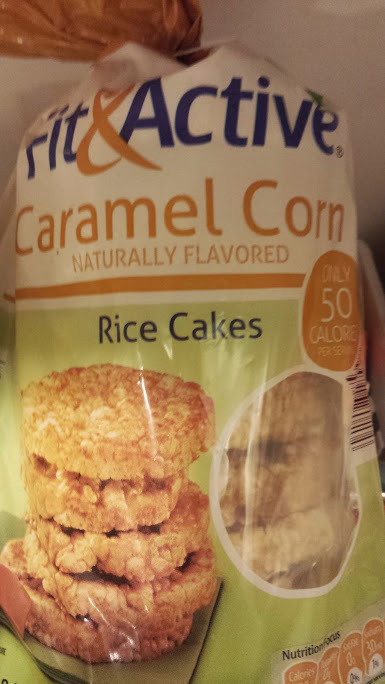 On a recent trip we found their Fit&Active brand caramel corn rice cakes. Like other gf items, they clearly label them as gluten free. Besides tasting just like the other named brands, these come cheaper as well. Definitely a nice thing to gain access toward. Our girls love these plain, with peanut butter and jelly, or melted cheese on them (not the caramel corn flavor, of course!). Rice cakes are a definite flexible food, as we can use them in place of bread (when we run out! ), or in a car or lunchbox for travel and school lunches.